Happy Tuesday sweet friends! I am always so thrilled that you stop in to visit with me. We are anxiously awaiting the arrival of our second granddaughter, Ella Mae’s little sister. We are all so very excited and she can’t wait to be a big sister. Prepare yourselves for upcoming photos! 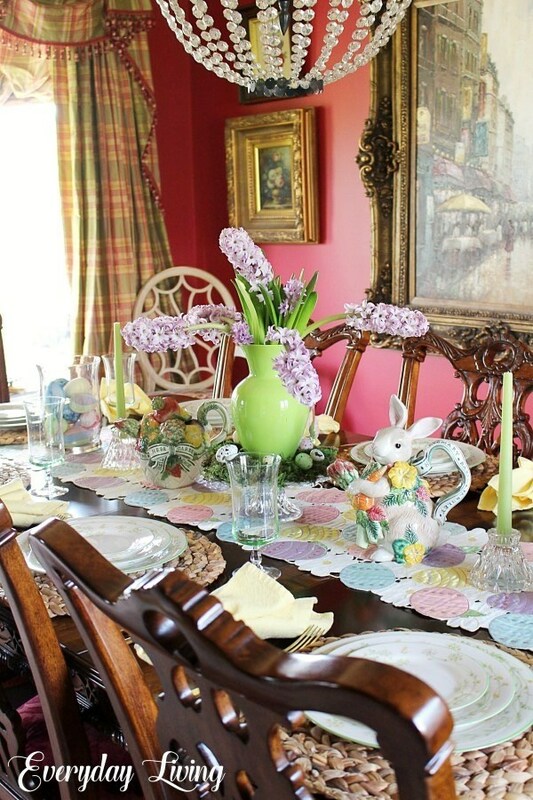 I have been looking for a vintage or antique floral patterned china for a couple of years. A friend of mine that frequents estate sales and auctions had also been looking for me. She messaged me several weeks ago with a photo of a lovely floral china that she had found at a very good price and I said consider it sold. 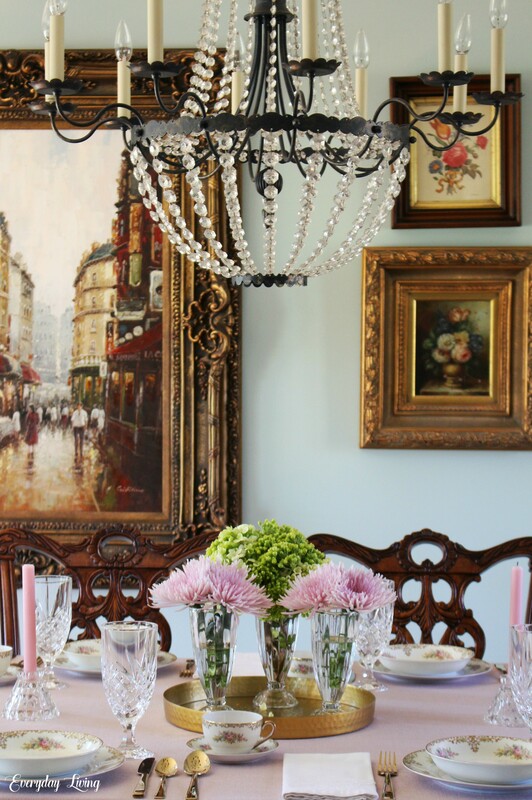 Today, it is making its first appearance on Tablescape Tuesday! I know it is old and it could even be antique and I know it is pretty! Using a soft pink tablecloth as a background, I kept the setting simple to let the dish ware be the star! Happy Tuesday dear friends! 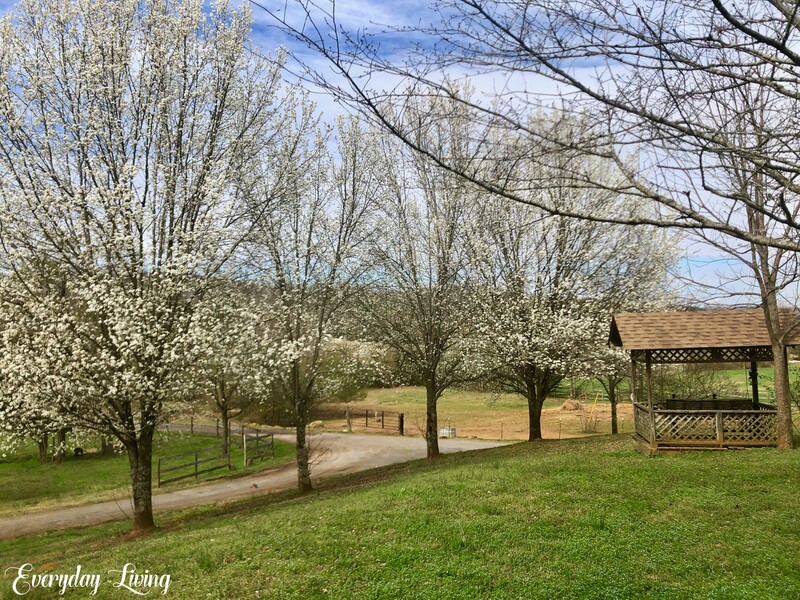 Can you believe a week from tomorrow will be the first day of spring? I can’t wait for my garden to come back to life after its winter sleep and to finally be able to enjoy a little alfresco dining. 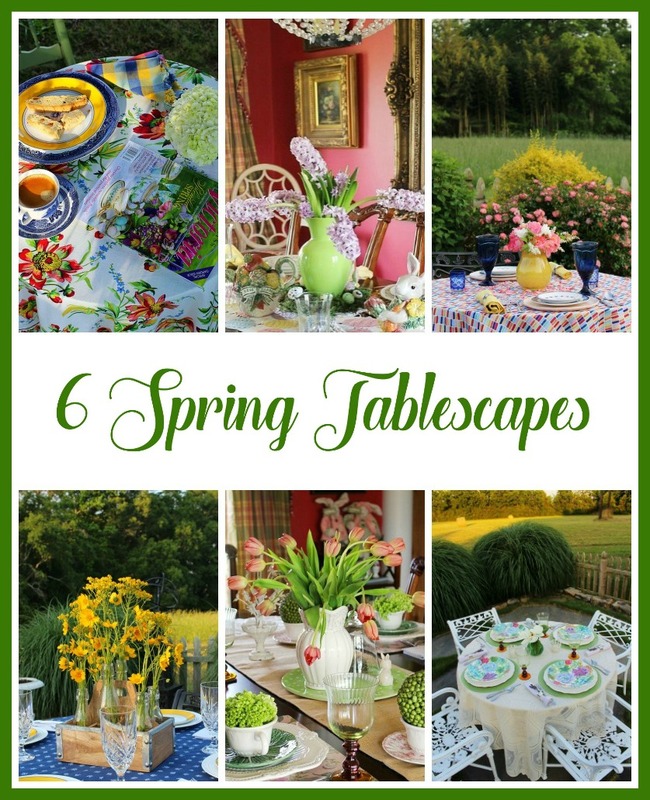 I thought It would be a great time to dig into the archives to enjoy a few springtime tablescapes! Our hearts go out to so many who have suffered loss and devastation during recent flooding. 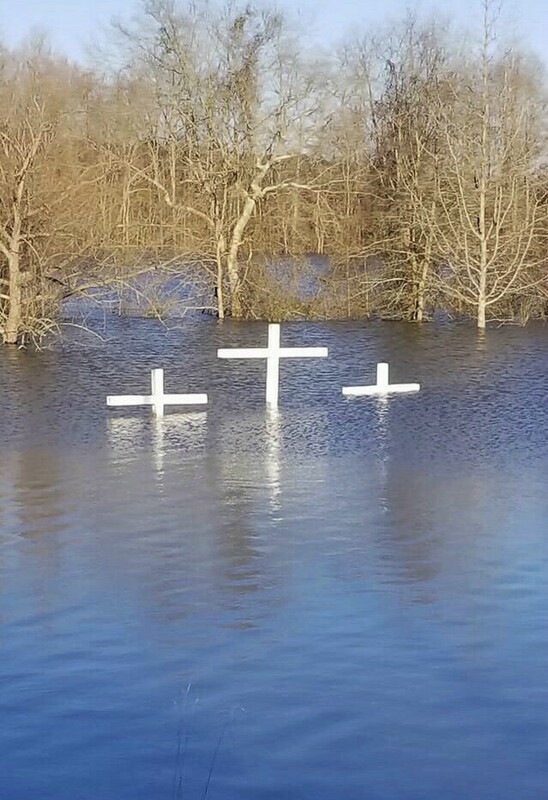 This incredible photo is a wonderful reminder that God is Sovereign and that because of the Cross, we can have victory regardless of earthly circumstances ! Photo courtesy of Zack Zimmerman.